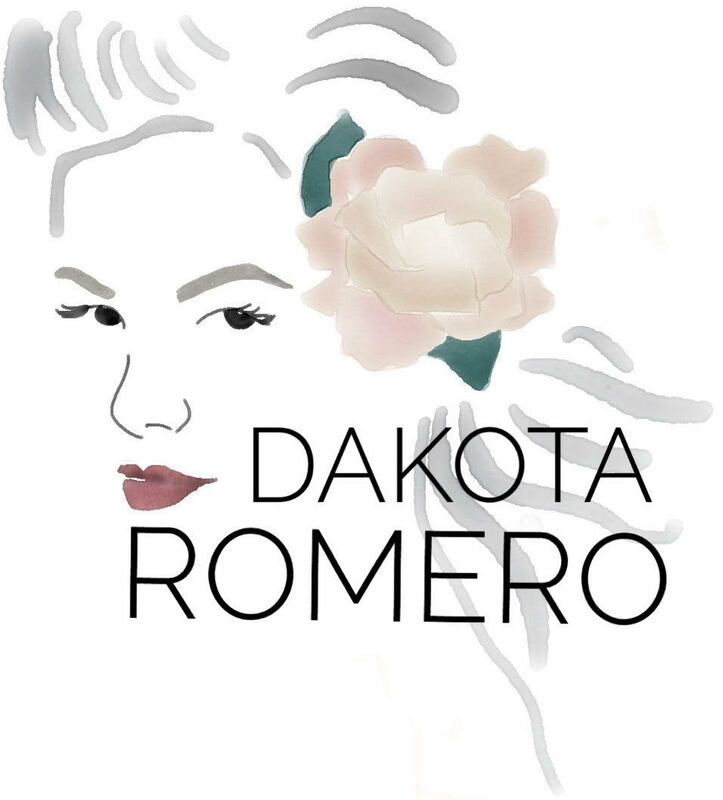 Born into a family of Entertainers – dancers, actors, and musicians – it was inevitable that Dakota Romero would follow in their footsteps. Her father Robby Romero, is an Award winning Native American actor and musician. The Founder of Native Children’s Survival and known Internationally for his groundbreaking PSA Music Videos on MTV during the late 90’ and early 00’s. He has long been a tireless Environmental Activist and is an United Nations Ambassador for Indigenous Peoples; Dakota spent many of her formative years in his company, sharing stages with him and many of his accomplished friends all over the world. Her mother Suzanne Mitchell, is a former ballet dancer, fashion model, and actress who passed her beauty onto her daughter in spades, along with her easy going, gentle and empathic nature. At the tender age of two, Dakota appeared in one of her father’s award-winning music videos. At five Dakota performed with an International Children’s Choir at the United Nations Earth Summit in Rio de Janeiro. Over the years she toured and appeared with her father at Festivals around the world, including the acclaimed HORDE Festival Tour in the States which included performing with Blues Traveler, Rickie Lee Jones, Taj Mahal and Natalie Merchant. The HORDE tour featured big name acts such as Sheryl Crow, Lenny Kravitz and Dave Matthews. While in high school, Dakota crafted and recorded a unique cover of Marvin Gaye and Diana Ross’ hit, My Mistake, which was featured in the Rockumentary film, America’s Last Frontier. After graduating high school, Dakota went on to Loyola Marymount University to study Classical Music, an unlikely choice for a child of the world she had been born into. She performed in various concerts during her time there, including a Chamber Music Recital and a World Music Ensemble. For her Senior Recital she sang in five languages, covering Musical genres from Baroque to Postmodern. During her Sophomore year, she traveled to Europe to be part of a 15 City Arena Tour, Encounters II – An Alliance For Children, founded and hosted by German Rock legend Peter Maffay. After the tour, she joined her father, Carlos Santana, Yusef Islam (formerly known as Cat Stevens) and Peter Maffey, in a concert for Peace in Bochum, Germany. Singing with Santana proved invaluable. Dakota would go on to working on several recordings of her own material with Karl Perazzo, the guitar legend’s band-leader, when she was back in California. After graduating with a BFA in Music, Dakota was invited to perform at the United Nations Conference of the Parties on Climate Change in Copenhagen, Denmark. She would later reflect on how profoundly she was impacted by the event and it would continue to inform her creative work. Dakota spent more time abroad, studying in Paris. The City Of Light inspired a song and left its unmistakable imprint on the young woman’s singular style. Titled Paris after the place that birthed it, the song marked a pivotal turning point in Dakota’s life. Once back in the States, Dakota began working and writing music with a diverse group of artists, performing around the country from Santa Fe to Los Angeles. It was during this period she began dipping her toes back into the Proverbial Acting Waters. Appearing in plays and musical productions since early childhood, moving between artistic mediums was, and is, second nature for Dakota. She began studying seriously after appearing as the lead in the indie film, Hidden Medicine which premiered at the Sundance Film Festival and went on to air on the Best of Sundance Channel. While earning her BFA at Loyola, Dakota studied with Graham Beckel and later, with Clifton Collins Jr. Her list of credits can be seen in her impressive resume. Her most recent appearance was on Season 3 of House Of Cards. These days however, it’s dancing that fuels this young woman’s creative fire. Dance too it seems, is in the family genes. Her mother, Suzanne Mitchell had earned a ballet scholarship for college, her grandmother Rita Rogers, danced her way from humble beginnings in Albuquerque, New Mexico to Hollywood, California where she was signed to MGM, and appeared in a stream of Elvis Presley’s Movies among others. Studying ballet as a child, Dakota appeared in several recitals growing up. She also began exploring other forms of dance early on. She studied Hip Hop (scouted during a Hip Hop class by Sesame Street Producers who hired her for a Cartoon Network video), Belly Dance, Flamenco and Swing. Though Afro-Carribean music (and the moves that accompany it), caught her in it’s rhythmic spell and she discovered her passion in its outward forms; Bachata, Bolero, Merengue and Son are where Dakota’s grace, years of study and discipline as a dancer, actress and musician have come to fruition. Currently, Dakota travels the world performing and teaching dance with her partner, International Ambassador of Dominican Arts, Edwin M Ferreras. In 2017 the pair founded Areíto Arts, a dance company whose aim is to educate students on the history, culture, development, and growth of Afro-Caribbean Arts; their slogan, Rhythm & Roots. Dakota has always felt connected to her Mestizo Roots that call her, through music; song and dance. Following the death of her glamorous grandmother, Rita Rogers, Dakota recorded a haunting rendition of the traditional La Llorona in homage to the woman who had early on inspired and encouraged her, to reach for the stars. The song (and the music video that accompanies it), is a gorgeous showcase for the depth, breadth and scope of this sensitive artist’s multi-talented vision and passionate commitment to her work.